Generally all plants needs fertilizer when they are growing in pots. 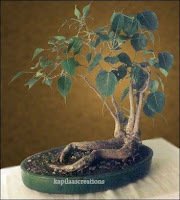 Potted plants have confined soil with limited nutrients. 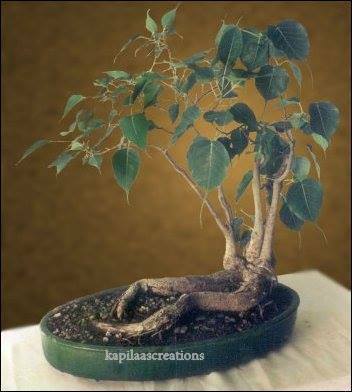 It is advisable for proper growth of a plant. Plant needs organic and inorganic fertilizers for overall growth of the plant. Organic fertilizers like completely dried cow dung , sheng kath means excreta of animals like sheep , goat, bonemeal , kitchen waste made in to fertilizer, neem cake, neem seed cake it also acts as fertilizer and pesticide .Organic fertilizers are without any chemicals and are natural. These organic fertilizers are used in once in three months.Organic fertilizers take a little more time to mix it into the soil., the best way is to fertilize is in the morning or in the evening, first water the plant and take out top soil, put the fertilizer,cover the fertilizer with soil and water the plant again. Fertilize the plant on regularly, maintain a calendar, and you can see the difference. Dont fertilize a freshly re potted plant, wait for two months let the plant settle and start fertilizing the plant. Liquid fertilizers are chemical fertilizers which can be absorbed by the plant instantly. they contain micro nutrients. Plants require minor elements which are also called as micro elements such as calcium, sulphor, magnesium, along with trace elements such as zinc, copper, manganese, iron, chlorine etc. All these nutrients are available in liquid fertilizers. Regular course of feeding the plants with micro nutrients is once in a month. these liquid fertilizers are mixed 1 ml in one liter of water and will be sprayed it on the plant. One more chemical in - organic fertilizer is to be used in powder form is super mix it is the combination of potassium and other micro nutrients, these elements are to be provided to the soil regularly for proper yield.. Potassium mainly contributes to the plant for proper growth of fruits and flowers.This super mix to be used once in a month to the soil in very little quantities like half tea spoon. First give a shower to the plant. feeding of fertilizer depends on the size of the pot. if the pot is small with 6 to 14 inches half tea spoon is enough. if the pot is big more than tree feet then it needs one teaspoon. 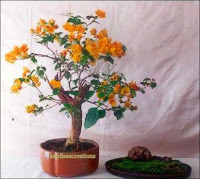 Ficus plants grow well in sunlight but not as much as Bougainvillea,the hot summer sun burns the leaves of the plant . They need fertilizers like nitrogen which are water soluble, Example Ujjala or suphala can be used . Suphala ( start with little doses ) and neem cake are the best combination for ficus plant because neem cake avoids loosing of nitrogen in the soil and it improves its efficiency. Suphala and neem cake can be used alternatively, watering the plant before and after fertilizing is very important. Bougainvilleas are the beautiful among flowering bonsais , they need lees or dont need wiring , they love lots of hot sun and well drained soil,These plants need some dryness in between watering , they bloom twice in a year during march and September because they bloom well when the night and day lengths are equal. 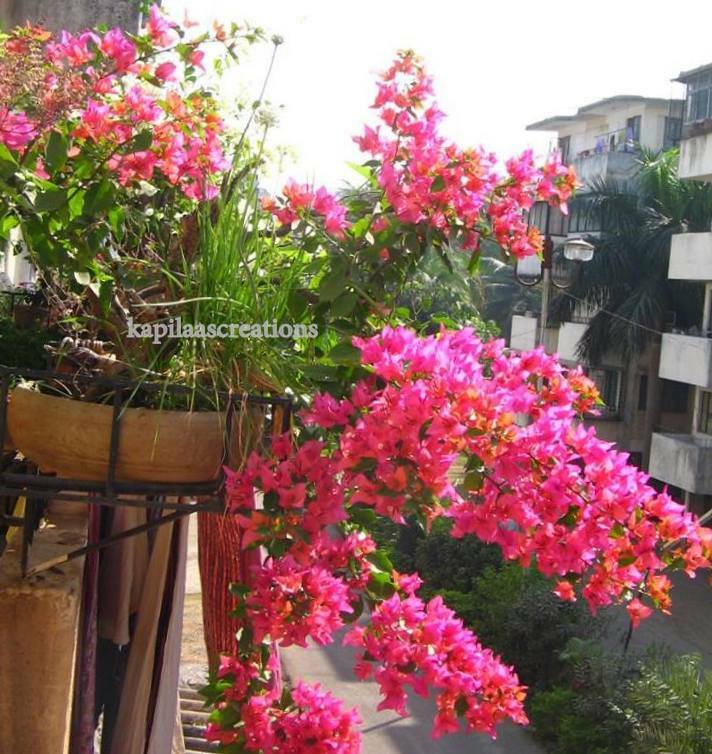 they need lots of fertilizers like micronutrients and organic fertilizers like completly dried cow dung , sheng kath means excreta of animals like sheep , goat, bonemeal , kitchen waste made in to fertalizer, neem cake, neem seed cake it also acts as fertilizer and pesticide , as bougainvillea plant prefers little acidic soil. The best way is you can buy a bio fertilizer from a shop or neem cake or neem seed cake are best. once in a month provide the plant with fertalizer, you can choose two types of organic fertilizers and alternative you can use them. 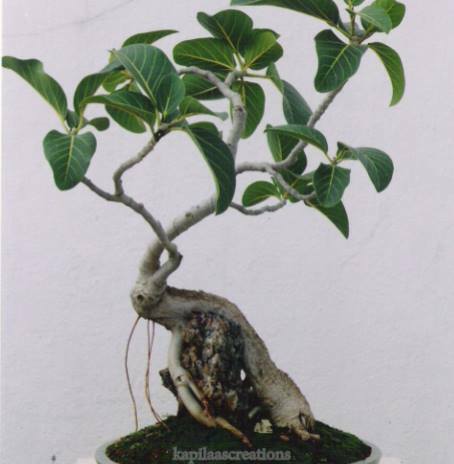 Schefflera doesn't need that much ferlalizer, once in 3 to 4 months is enough for the plant. 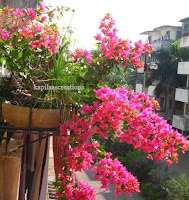 This plant needs only morning or evening sun light and right amount of water .